World of Architecture: Bauer Group To Build Kingdom Tower Foundation! Green Light For World's Tallest Building. Bauer Group To Build Kingdom Tower Foundation! Green Light For World's Tallest Building. It's a go! German Bauer Group signed yesterday contract worth €25 million to build foundations for new world's tallest building, Kingdom Tower in Jeddah, Saudi Arabia. According to 4investors.de, construction will start in December and it will be completed within 10 months. "For us it is a great thing to be involved in this project" shared Thomas Bauer, CEO of Bauer AG. Kingdom Tower is designed by worldwide famous architecture firm Adrian Smith + Gordon Gill Architecture. 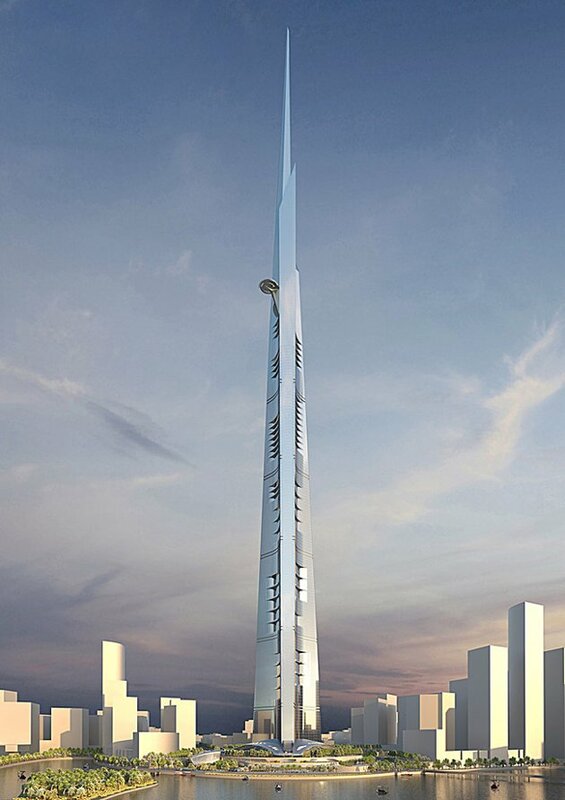 Kingdom Tower will be the first skyscraper to rise above 1,000m (3,280 feet). Read detailed story about Kingdom Tower! Take a look at 3D model and blueprint drawings of Kingdom Tower! Photos from pile testing for world's tallest building!